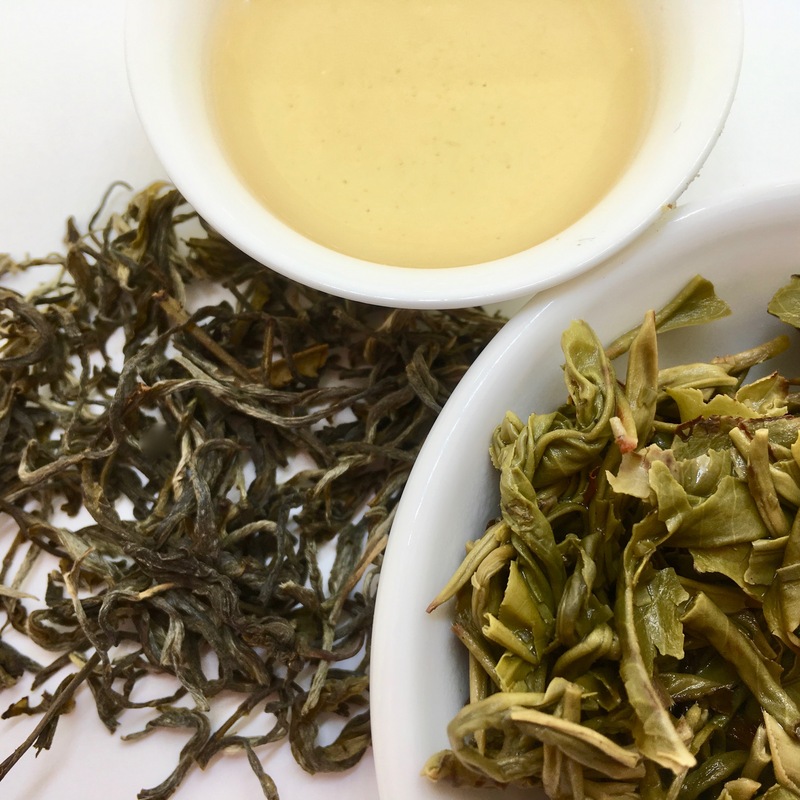 The Yunnan province of China borders Vietnam, Laos, and Myanmar, and while each of these countries lays claim as Birthplace of Tea, Mother Nature cares little for man-made borders. Without the need for such specificity, it is sufficient to say that this entire region is the ‘Cradle of Camellia sinensis’; where the tea plant first acquired singularity as a species. Yunnan is perhaps the most ethnically diverse province in China; 25 of the 56 registered ethnic groups call Yunnan home. Yunnan also bears evidence of the earliest human habitation on the Asian continent; the 1965 discovery of fossilized teeth belonged to hominids living in Yunnan 1.7 – 2.5 million years ago. The ethnic diversity, distance from the corridors of power, and wildness of the terrain has somewhat buffered Yunnan from the mainstream of China, so that not only is cultural diversity on broad display, but also Yunnan’s astounding biodiversity, which has fostered their burgeoning eco-tourism trade. Yunnan enjoys a kaleidoscope of ethnic cultures, and with over 85% of the country covered by mountains and the relative scarcity of arable land, the variance of culture blends with the prominence of Nature, bringing added importance to food in the region. The dishes are a blend of Han and Ethnic minority cuisines, and can be quite spicy, with mushrooms taking prominence and flowers are eaten as vegetables. Yunnan’s own Pu’er tea is of course served at or after every meal. Kunming is the capital of Yunnan province and has the nickname “Spring City” due to its year-round mild weather. With the exception of the near-tropical southern regions, overall Yunnan enjoys a pleasant climate; mild winters and cool summers. This holds true except when it’s “Rain here but Sunshine there” (a local saying). Extending much earlier trade routes, the development of the Silk Road beginning in the Han dynasty (206BC – 220AD) was not only a catalyst for the evolution of China and her connection to the wider world, but also enabled an association between central China and the outlying regions, such as Yunnan, who could now find a global market for the tea they produced. Like the similarly remote Jiangxi, the Yunnan region was conquered by the Mongols behind Kublai Khan in 1253, and though the southwest regions resisted, the whole of Yunnan was finally consolidated as late as the Qing dynasty in 1698. Jeff Fuchs and a team trek along a portion of the Ancient Tea Horse Road in central Tibet. One of the most famous trade routes in the history of commerce is the Tea-Horse Road. It was given the name because of the of the importance of the exchange of Chinese tea from this region for Tibetan horses. This dates back at least a thousand years when the horses were important for China to fend off nomads from the north. The ancient tea route linked from Yunnan, one of the first tea-producing regions: to Bengal via Burma (now Myanmar); to Tibet; and also connected Central China via Sichuan Province. [In addition to tea, the caravans carried other commodities, like salt. Through this vast network, tea spread across China and Asia from Pu’er county in Yunnan.